Uplighters are used to wash an entire wall, ceiling or floor with colour, and until recently uplighters had a lamp and were restricted to one colour at a time. L.E.D up-lighters contain a large range of popular combinations which can be changed without the need for filters or bulb changes. They are the latest technology in wash lighting and can be used for a variety of applications such as venue dressing, in houses, marquees and halls, special effects in photography and film, architectural installation or even temporary lighting for workman. What can I do with Led Uplighters? Mood Lighting or LED Up lighters? Are they the same thing? Many people consider LED up lighters to be ideal form of Mood lighting. In fact, the traditional Parcan would have been one of the very first professional Mood-lighting effects available. The latest LED uplighters even have a colour fade mode, which gradually changes through the colour spectrum creating a fantastic effect in houses, halls, bars, clubs and anywhere you want to set the right Mood. Can I change colour of a venue with uplighters? Uplighters work best on lighter surfaces, with darker walls and ceilings needing more lights to get the full effect. Uplighters will transform your venue, reflecting colour off every surface making every object within its range glow with colour. You can even connect a controller to the lights, making colour and programming changes during the course of the event continuing the transformation of your venue. They are the best, and most high-tech solution in venue dressing and decoration. How much with led up lighters cost to hire or rent? Prices can vary from anything as small as £15 for a single uplighter, but costs for larger venues really will depend upon the venue size, or your application. You contact can us for advice on what you need, and if you provide some details on your venue we can recommend just the right amount of light required. What size party venue can I cover? Uplighters are extremely versatile, and you can always add another light for larger venues. We have vast experience in this field, and with the right details we can advise on the right uplighters for your venue. Are led uplighting systems sound to lights? Our uplighters do have a sound to light setting, which can be set to strobe on one colour to the beat of the music, or strobe between colours as the bass in the music thumps. Are they easy to set up and use? If you opt for our delivery service, our technician will set the lights up to your requirement, and position the lights correct to achieve the proper effect. Each uplighter does require a power supply which we can provide if needed. How much space will they use? Uplighters will have a floor footprint of about 0,3 sq m, and can be position in areas so not to effect anyone at the venue. When stand mounted, you can fit up to 4 on a stand which has a floor footprint of about 1m sq’d. To fill larger areas you may require several lights separated equally across the base of a wall. Colours available are red, Orange, Gold, Yellow, Green, Baby blue, Royal Blue, Purple, Pink and White. You can also use colour fades to naturally filter through colours, or you can use a slider controller to manually select your colour from any end of the spectrum. A sweet table is the perfect way to entertain all your guests, no matter what their age. They’ll have great fun deciding which decadent treat to enjoy next. Bring back a sense of nostalgia with some pick ‘n’ mix favourites. Customise some paper bags and have your guests pick their favourite sweets, just like when they were kids. Having a retro theme for your wedding? Serve up some retro classics like Sherbet Dips, Refreshers, Love Hearts, Marshmellows, After Eights, Fudge, Traditional Chocolates and many more varieties to choose from. Match your sweet table to your chosen colour scheme and make it look just as elegant as it is fun. Each Sweet Table includes: set up, collection, table hire, decor and skirting, scoop hire, glassware hire, organza or paper bags for your guests (in your colour theme), and any sweets left over are yours to keep! There are a variety of glassware designs available in each table size and we can help you select the right one for you. The sweets will be themed: Colour coordinate, Retro sweets, or Bespoke. The beauty of Sweet Tables (apart from their obvious beauty, of course) is that they can be designed to suit just about any occasion and just about any mood. From fun birthday bash to elegant wedding, from quirky and frivolous to classic and chic, they can be dressed up or toned down, and still create a stunning focal point at any event. They are particularly popular and work absolutely beautifully at weddings and birthday parties. A Star Cloth is designed and are used as stage backdrops in theatres, at rock concerts, in discos and special events such as weddings and parties, home theatre or in retail settings. A star cloth (or star curtain) is a piece of heavy black fabric studded with end glow optical fibres. The glowing fibre points are evenly distributed across the surface of the star cloth and change colour or twinkle according to the set-up of the light source which provides the illumination. 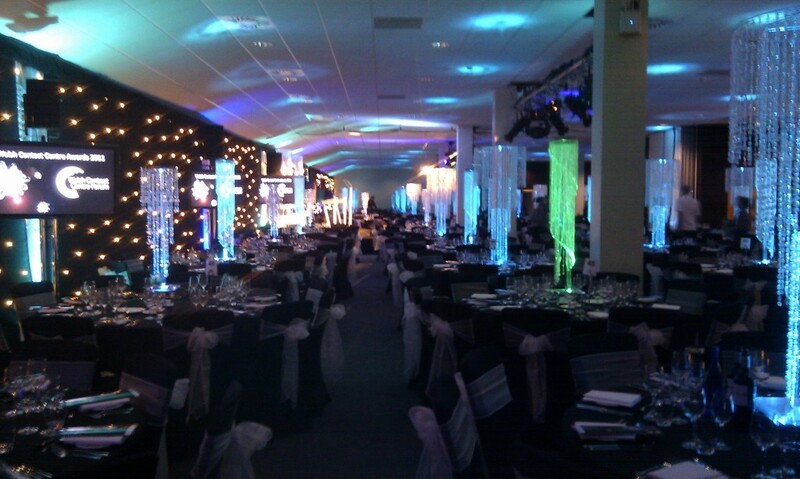 If you are looking to hire a star cloth to transform your venue we can help. For example, a dull space can be made to feel an awards ceremony when a star cloth is used to create a wonderful ambient atmosphere. Classic star cloths combine white LEDs curtains for a dynamic stary backdrop. Imagine a vast night sky that stretches out into the night. A sparkling constellation to decorate & frame beautiful performances or special events. We also hire out our range of every lighting effect imaginable including projected lighting effects, moving heads, scanners, lasers, led & mood lighting, UV, DJ booths, outdoor lighting, mirrorballs, strobes, tripods & tri trussing, band lighting and control equipment. 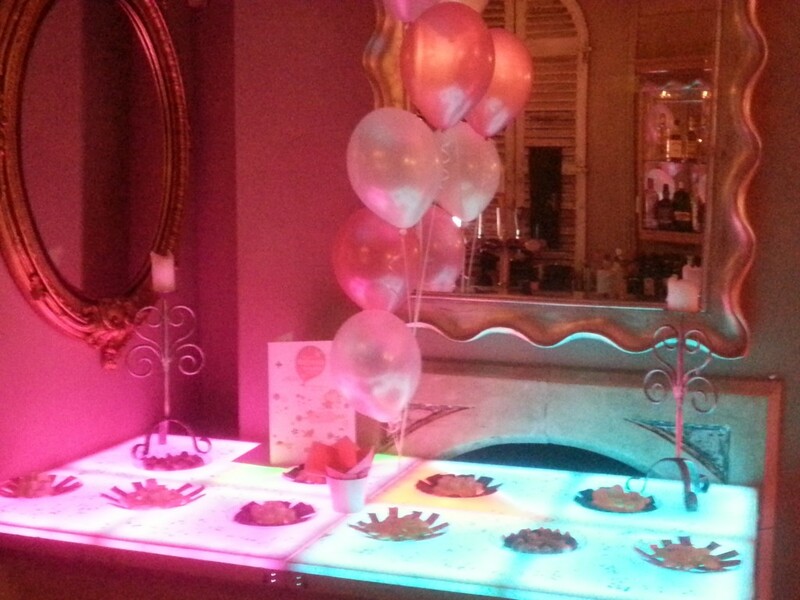 Please contact us to discuss your every query regarding extra mood lighting and our range of packages we can offer you. What else can we use our led dance floor panels for? We have supplied our led panels to create a light up led platform to display many products for various businesses over the years. From new car launches or even window displays, we can supply our led floor for any display platform you require. Please ask for details. We have also been asked to provide a light up led floor for catwalk shows for many different events. This is truly a stunning addition to any event. When the house lights are dimmed, the led floor catwalk stage come alive and gives any fashion show that wow factor and captivates that all important future customer! The ultimate in audio visual entertainment. Video Discos, Audio Visual Entertainment Shows, mixing visuals, music DVDs, photography and live cameras. 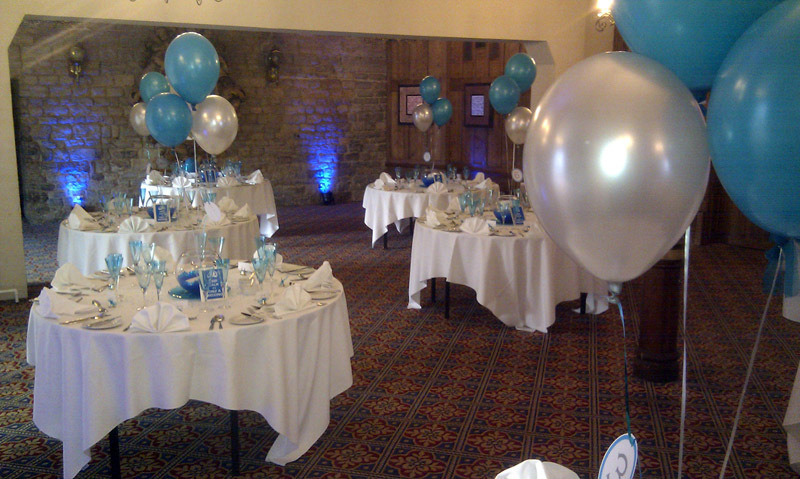 We will help you to make your event a talking point for months after your party. Our Audio/video production service consists of projection, plasma screen or LED lighting technology along with the latest in sound and lighting. We cater to events of all sizes and budgets and have a wide range of packages in video disco and mobile disco which can suit all tastes and preferences. We also create bespoke packages in wedding disco and mobile nightclub for client’s who want to try something new and different or want tailor made audio visual entertainment shows. We can supply you with a disco with a difference. All the usual dj and disco equipment expectations at your event, but including either a large projector screen with all your favourite music videos to dance to and watch, or two plasma screens on either side of the disco light frame. We can also show some pictures of the wedding or fun pictures on your birthday on the plasma screens or projector screen. This is a very popular choice and can add a special element to your event. We can even point the video camera onto the dance floor and display everyone dancing up on the screens! It’s fun and is a popular talking point at your event.